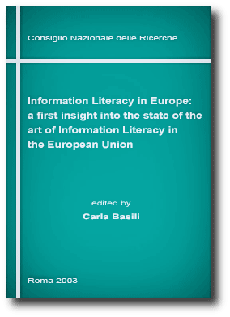 Information Literacy in Europe: a first insight into the state of the art of Information Literacy in the European Union, Carla BASILI (ed. ), Consiglio Nazionale delle Ricerche, Roma 2003, 315 pp. 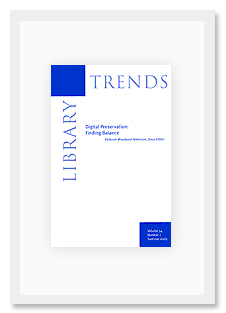 Information Literacy at the crossroad of Education and Information Policies in Europe, Carla BASILI (ed. ), Consiglio Nazionale delle Ricerche, Roma 2008, 301 pp. 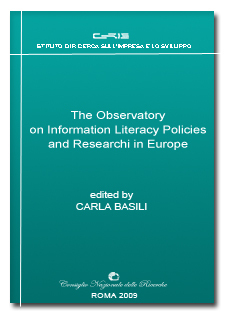 The Observatory on Information Literacy Policies and Research in Europe, Carla BASILI (ed. ), Consiglio Nazionale delle Ricerche, Roma 2009, 413 pp.